Has this happened to you? If so, read on! There seems a good deal of talk going round these days on how to deal with rejection poetry style. I just came across this blog post at Indiana Review on the 5 Marks of Oft-rejected Poems and found it interesting. Stale language, cliches, weak endings --- all good points to be reminded of. 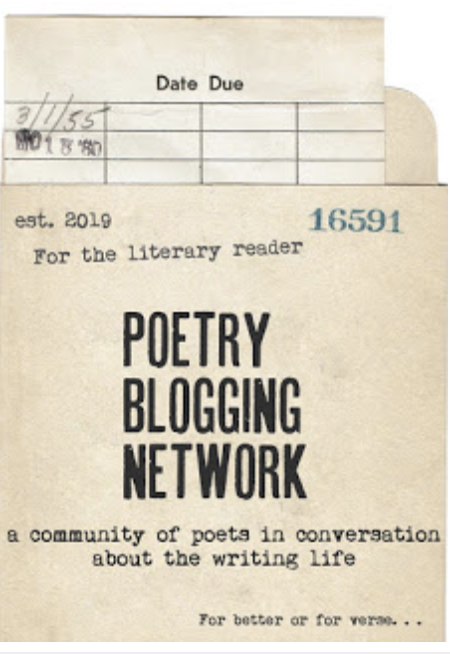 A few weeks ago at the Book of Kells, Kelli Russell Agodon posted concerning the awkward situation when a journal makes a personal request to the poet for poems and then rejects her (or him) with a faded rejection slip or a mass email. Yes, it's nice to be asked. And yes, it hurts twice as much as a "normal" rejection does because the editor encouraged you. In other words, the rejection becomes much more personal. Ten years ago I heard Naomi Shihab Nye talk about this exact issue at a workshop at Richard Hugo House. She implied that the better known a poet is, the more this will happen. And so, yes, it's a first class problem. Still, Kelli's point is worth repeating: editors need to consider what they are doing and not merely encourage poets to submit because they want to raise their submission numbers. For me, "the ask" is very much like saying: "Let's go out on a date but know that I will blow you off if someone sexier is available that night. Hope that's OK."
Once upon a time, a famous editor wrote to me (a personal and cheerful note) asking me to submit my book manuscript to a contest her magazine was running. I wondered why she would ask such a thing as she had not taken any of my poems in the years I had been sending to her. Could it be a $25 reading fee? Were submissions down? 1. Most oftentimes an editor is just another writer -- just like you. She has her own likes and dislikes and they may or may nor include your work. They are not an ultimate judge of your work. 2. A poem may go out 1-20 times before it finds a home. I try to keep track of how many times my poems go out into the world before they find publication. On average, I send a poem somewhere between 6 - 9 times before it is accepted. If this one magazine says no, there are many others to try. 3. There's a right match for my poem out there somewhere. As with any relationship, I want my poems to find a warm and loving audience. If a journal doesn't want my poem, my poem doesn't want to hang out there. 4. 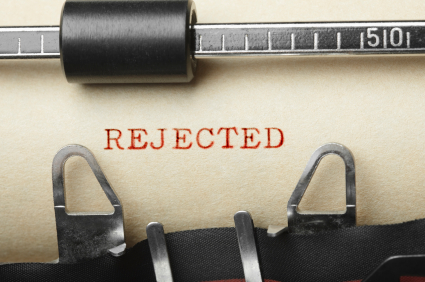 Most writers are rejected most of the time. This is a fact of life. It is also true that the more you submit your work, the better your chances of acceptance. 5. You have been accepted and you will be again. So some little start-up journal says no to a poem and the same poem is accepted by a prestigious national journal a few months later (it happens). 6. Take the opportunity to look at your rejected poems when they come back and see if they need some more revision. If they do, the editor just gave you a chance to make your work stronger, if they are fine as they are, send them somewhere else that very same day. 7. Be playful. Find a way to make submitting your work a game. I've written recently on how I play the license plate game when I submit poems. This allows me to focus on something other than the nation's top 10 journals. 8. Talk to friends. I have a friend who hears about my excitement over poetry acceptances and also receives emails when some little journal decides to email out rejections early on a Sunday morning. It really helps to have a poetry submission buddy to share high highs and low lows. 9. Take a break. If you are feeling a bit raw and a poetry rejection might be too much at this point (the grey of winter, the loss of a friend, too much work stress) just take a break from submitting and concentrate on writing. Writing poetry is a better use of your time than submitting poetry any day. 10. Tell me your story. I love hearing other rejection stories from poets and from editors. When I read for Ploughshares back in the early 1990's I remember a poet who wrote me (well, not me personally) about how he was sure I was nothing but a lowly intern (i was) and that he imagined me sitting in my bedsit somewhere thinking he was just a crazy man (I did). He told me his poems were better than I would ever understand. And yes, dear reader, I rejected him ~ and was glad he did not have my address. This is best post on rejection I've seen in a long time! This is wonderful, Susan, and so true! You've nailed it. Thanks. Great points! Number five has happened to me more than I would ever have imagined. Really enjoyed this, Susan. Thank you. I keep material circulation and have had poems picked up their first time out, and others not picked up at all (even after rewriting more than once). I've even had poems that didn't get picked up until they were mailed fifteen or so times. (If some of those never poems get picked up, it could be double that.) As you suggest, rejection is something every poet (writer) goes through. I'd say it makes us stronger, but that's not always true depending on how I feel on a particular day. The truth is, I love writing poetry, and no amount of rejection will probably stop that. I think that's the good news. Thanks, Susan. I had a rejection last night from a journal you highlighted in a FB post. I was so mad at you! Ha, ha...just kidding. It was a nice rejection and I was in a good mood at the time. Now that rejection to a writing program that came at 4pm on Christmas Eve - that was a bummer! You gave me the best advice last fall about immediately sending work back out upon rejection. I do that and it seems to work out. Great post! Thanks, Patty! So glad you found my advice on sending poems back into the world useful. That journal I suggested rejected me as well if that's any consolation! Thanks for these reminders. I just wrote about number six happening to me. I'd genuinely thought that poem was finished the first time I sent it around, but I did look at it hard after the rejection email and I found a way to deepen it. It was accepted - at a journal I heard about through you and Kelli Russell Agodon, actually - the next time around. And there's a lot of number three, isn't there? Sometimes a poem won't strike a chord with the editor, just as not everything I read in a journal I really like strikes a chord with me as a reader. The hardest part for me is teasing out what's going on in a rejection and if any of it is in my control as a writer. When to possibly revise, and when to have faith in what I've written as it stands. I'm starting to get rejections that are two nice, very flattering but still a rejection. Is this a new trend. And kinder, gentler no-thank-you?